A manufactured fiber refined from cotton filaments and/or wood pulp, and acetic acid that has been extruded through a spinneret and then hardened. Bamboo fabric is made from the pulp of the bamboo grass. It is light and strong, has excellent wicking properties, and is to some extent antibacterial. This antibacterial quality helps to reduce bacteria that thrives on clothing and causes unpleasant odors. In addition, bamboo fabric has insulating properties and will keep the wearer cooler in summer and warmer in winter. Crisp, fine linen which is sometimes called altar cloth and used for that purpose. Wool fabric that is felted to create a very dense final product used for coats, jackets and slippers. This fabric can be a knit or a woven but is made with a novelty yarn. The finished fabric has protruding loops or curls on the surface. Care must be used when cleaning to prevent snagging. A carbon fabric blends carbon-infused fibers by the burning of bamboo and blends them with synthetic fiber to create a durable, tech fabrication that is anti-bacterial, anti-fungal, breathable and moisture wicking. A soft fuzzy fabric developed in France. The name means caterpillar in French. It can be made from cotton or a blended fiber. An extremely sheer, lightweight, soft fabric made of silk, polyester, rayon or other fibers. It is made of highly twisted filament yarns. 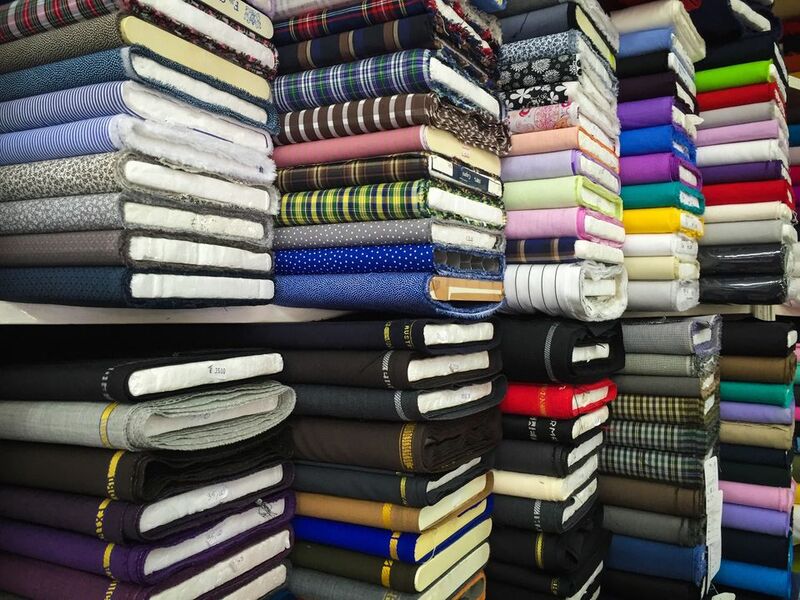 Study plain or twill weave cotton fabric. Most of these fabrics are dyed a khaki color but can be navy, black or olive drab. Cotton in which a combing process removes the short fibers and any debris that may be with the fiber when it was in the field. This results in a cleaner, more uniform and lustrous yarn. Usually made from cotton, corduroy is a durable pile fabric with lengthwise ridges cut into the pile called wales. Corduroy is available as a cotton/polyester blend to help prevent wrinkles. A natural fiber that grows in the seedpod of the cotton plant. Fibers are typically 1/2 inch to 2 inches long. The longest staple fibers - longer than 1 1/2 inch, including the Pima and Egyptian varieties - produce the highest quality cotton fabrics. Damask refers to the type of weave used to create jacquard-woven florals or geometric designs. The fabric can be made from cotton, linen, polyester or from blended fibers. Ecosil means the polyester fibers are spun very compactly to give the fabric a clean appearance, and a resistance to pilling and abrasion. All cotton grown in Egypt is "Egyptian" but it is not all extra-long staple cotton which is the most desirable and softest. A type of fabric with patterned cut-out designs, around which stitching or embroidery is applied in order to prevent the fabric from raveling. It can be made from cotton or man-made fibers.